The Whitman-Hanson Regional High girls’ soccer team will be led by a trio of senior captains, who will have a young core around them. 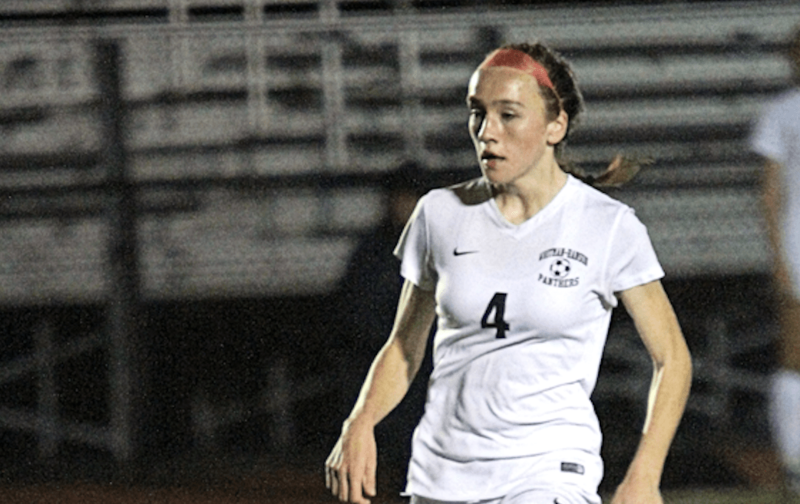 Another season, another clean slate for the Whitman-Hanson Regional High girls’ soccer team. The program, which has not had a losing campaign since 1999, also hasn’t fallen short of the sectional semifinals — which occurred last fall — in the past four seasons. In 2014, the Panthers made it to the state title game, in 2015 they made the sectional title game and their 2016 season ended with a loss in thestate semifinals. “I’m pretty fortunate that we get some really talented players that come through and I think we as a coaching staff are smart enough not to get in their way,” head coach Dave Floeck said. “I think we’ve been blessed that the program has established itself so younger kids in the fourth, fifth, six grade, who want to be a part of the program, are already working towards that and working their skills to get here. Coming into this fall Floeck’s club, which went 17-2-2 last season, has some major losses with the graduation of past captains and fouryear starters — defender Elana Wood and midfielder/forward Eve Montgomery. “They’d played in everything from a state championship game to right on down so they were able to share that with everybody, so it’s a big void but we have a couple other seniors returning that have a lot of experience and we’re looking forward to their leadership as well,” Floeck said. Defender Betty Blake and midfielders Katie Korzec and Taylor Kofton (2016 All-American) were also cornerstone pieces who have graduated as well. 2017 All-American Lauren Bonavita and her 43 goals last season and school-record 113 leaves the toughest hole to plug, and Floeck isn’t even going to try to do that. Floeck said he believes his team’s balance and depth are its two main strengths. 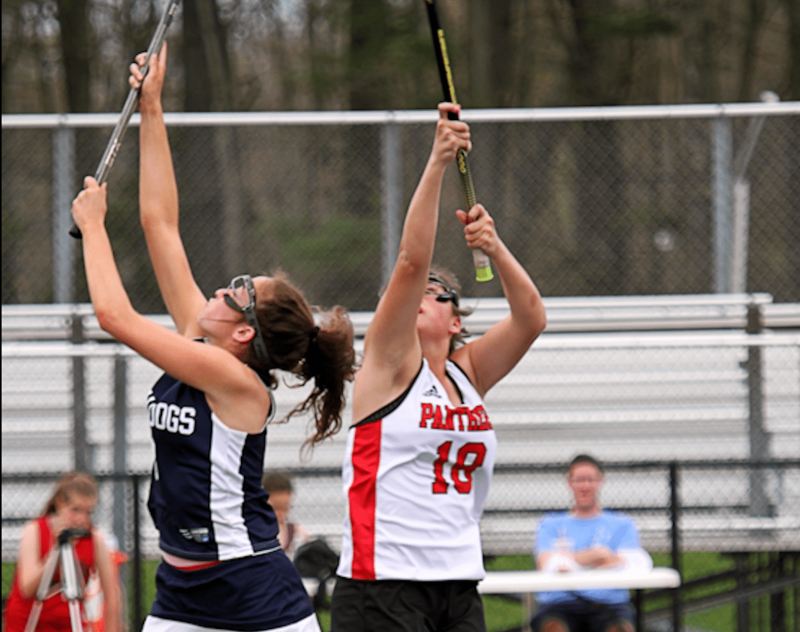 The most notable multi-faceted Panther is Boston College-bound senior Sammy Smith. 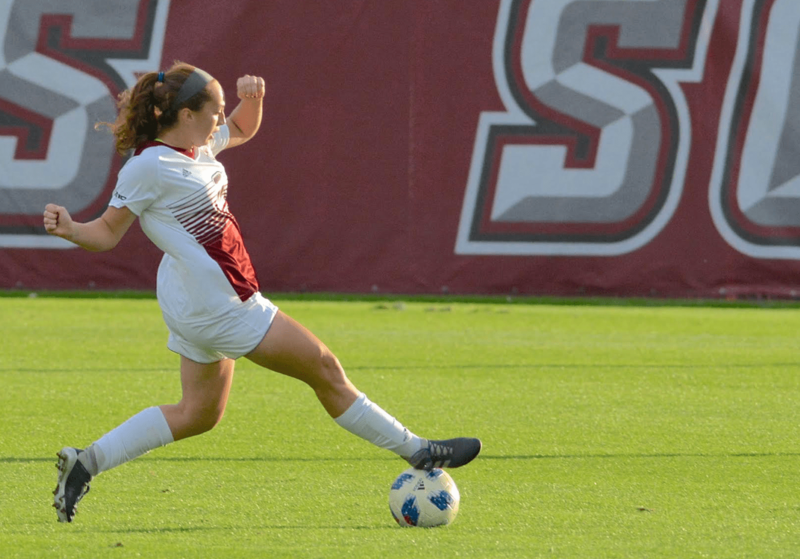 Smith, who was voted a Patriot League All-Star, first-team EMass and all-state as a defender last season, can also play up the field and play it well. Smith will also captain the Panthers alongside classmates — defender Olivia Johnson and goalkeeper Skylar Kuzmich. This will be Kuzmich’s fourth year in W-H’s net. Other than W-H’s three senior captains, most of its experience comes from its underclassmen, such as the likes of juniors Riley Bina, Zoe Cox, Anika Floeck, Delaney Hall and Samantha Perkins as well as sophomore Alexis Billings. However, despite the youth, Kuzmich, a Hofstra University commit, still has high expectations. “I think we’re going to do really well and get really far this year,” she said. W-H opens the season on the road Wednesday, Sept. 5 at 5:15 p.m. against Notre Dame Academy of Hingham. “Right now, in all honesty, and I don’t want to sound clicheish, but because we’re so young, we want to be better today than we were yesterday,” Floeck said. After wrapping up their regular season at 15-1-2, the Panthers were awarded the No. 6 seed in the Div. 1 South Sectional tournament. W-H made quick work of No. 11 Weymouth in the first round with a 6-2 victory, knocked off No. 3 Hingham, 2-1, in the quarterfinal-round, before falling to No. 2 Newton South, 2-1, in the semifinals. If 2017 taught us anything about the Whitman-Hanson Regional High girls’ soccer team, it affirmed what many already knew. It’s deep and it’s brimming with talent. The Panthers were dealt a major blow before they even embarked on the new season — they were going to be without All-American Taylor Kofton after the senior midfielder suffered a torn ACL over the summer. Not only were the Panthers sans Kofton, but they opened the season down starting goaltender Skylar Kuzmich, who missed all of the preseason, for the first game and starting senior midfielder Katie Korzec for the first two weeks. Before Korzec even found her way back, W-H was handed another major blow when Betty Blake went down with a torn ACL against Plymouth South, ultimately ending her season. W-H, despite the rash of injuries, opened the year at 6-0 with key wins over Silver Lake, Pembroke and Hingham. The Panthers’ 22-year head coach David Floeck said the first six games of the season taught him a great deal. Floeck said one key to the Panthers’ success is they don’t focus on what they don’t have, rather what they do, and with every injury came an opportunity for someone else. The Panthers’ depth continued to shine as the season wore on, and in their 10th game, a 2-0 win over Quincy, they punched their 18th consecutive ticket to the postseason. With four minutes remaining and W-H, which lost junior defender Olivia Johnson just 15 minutes in to a broken wrist, clinging to a 1-0 lead, Panthers All-American Lauren Bonavita tore her hamstring, an injury that she played though. Regardless, shortly thereafter the Lions, on their first shot of the second half, knotted the score at 1-1 with less than a minute remaining. In overtime, Newton South won it with a header. “It was a tough one to take, because we really felt like we played well enough to win, but sometimes the ball bounces that way,” Floeck said. While the Panthers’ depth shone bright this season with sophomores Alexis Billings, Riley Bina, Anika Floeck, Delaney Hall and Samantha Perkins, taking significant leaps forward, the impact of their senior class was ultimately the motor that powered them forward. 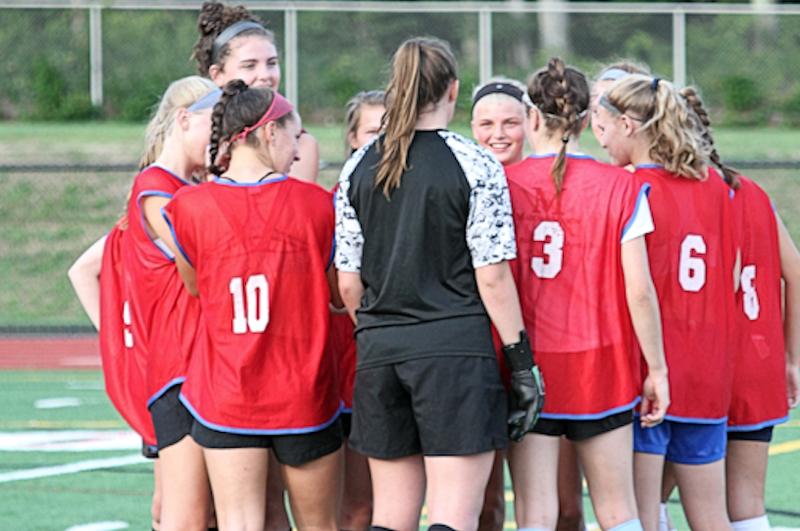 It was a group of girls that helped guide W-H to a 77-6-7 record and two South Sectional titles over four seasons. 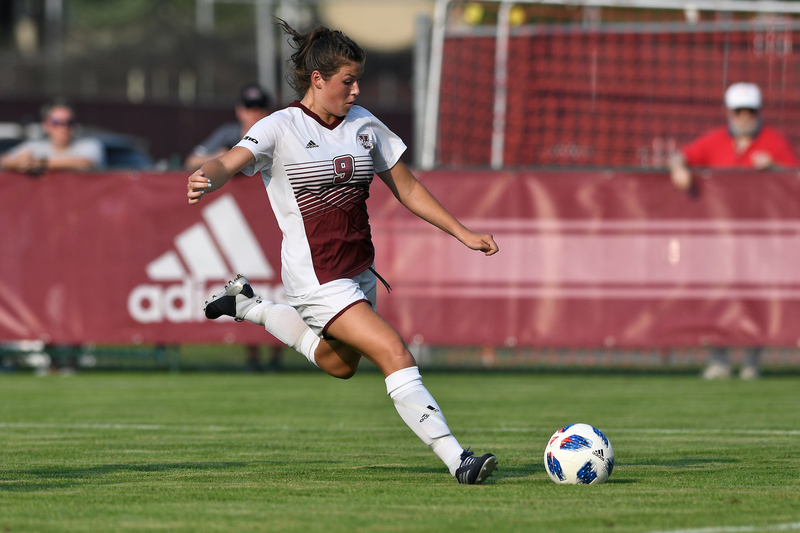 Spearheading that senior class was Bonavita – who ends her career as the school’s all-time leading goal scorer with 113 after a 43-goal campaign. 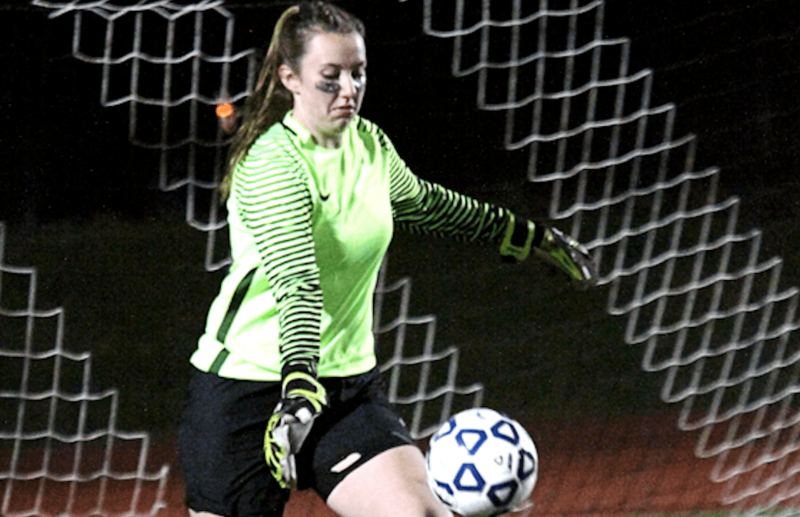 “We’ve never had anyone who has had an offensive season like the one Lauren had,” Floeck said. Floeck said that despite the Panthers falling short of their team goal of a state title, he couldn’t be more satisfied with what they were able to accomplish, and the way they went about doing it. David Floeck has won his 300th game at Whitman-Hanson Regional High. 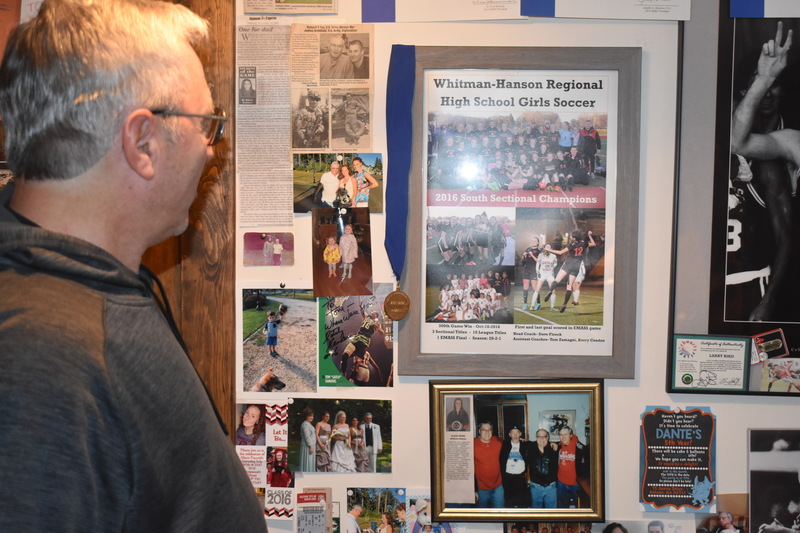 After the dust settled, the final whistle was blown and the score final, Whitman-Hanson Regional High girls’ soccer head coach David Floeck had recorded his 300th career victory on the sidelines for the Panthers. It was a hard-fought game for the W-H on Tuesday, Oct. 18, but its 2-0 win over Plymouth North was enough to secure the milestone for Floeck. After W-H athletic director Bob Rodgers alerted fans Floeck, who also serves as the school’s assistant principal, was on the verge of the 300 mark, more emphasis was put on W-H’s Saturday tilt versus Hingham as he sat at 299. Unfortunately for the Panthers, Floeck was turned back after a 2-1 loss, so he had to wait until Tuesday’s game. Besides the constant infusion of talented players into the system, Floeck credits the consistency of his coaching staff as a large piece of his success. Tom Zamagni has been with Floeck since he started coaching at W-H 21 years ago, Brandon Dineen has guided the Panthers’ JV team for 13 years and Glenn Ward, who Floeck replaced in 1996, is now the head coach of the freshman team. “When you try to implement a philosophy in the program, in terms of our core values and things that we stand for, it’s nice when we have a coaching staff that knows what we’re trying to do at all three levels,” Floeck said. Floeck’s coaching career began in 1990, when he was hired to head the East Bridgewater boys’ soccer team, where he worked until 1995. Ironically for Floeck, he said he actually never thought about coaching girls. One of the most influential figures in Floeck’s life he said was his father. Josef Floeck, born in Germany, played an instrumental role in getting his son involved in the game and also played a key role in helping establish soccer at East Bridgewater High School and was one of the founding members of the South Shore League. 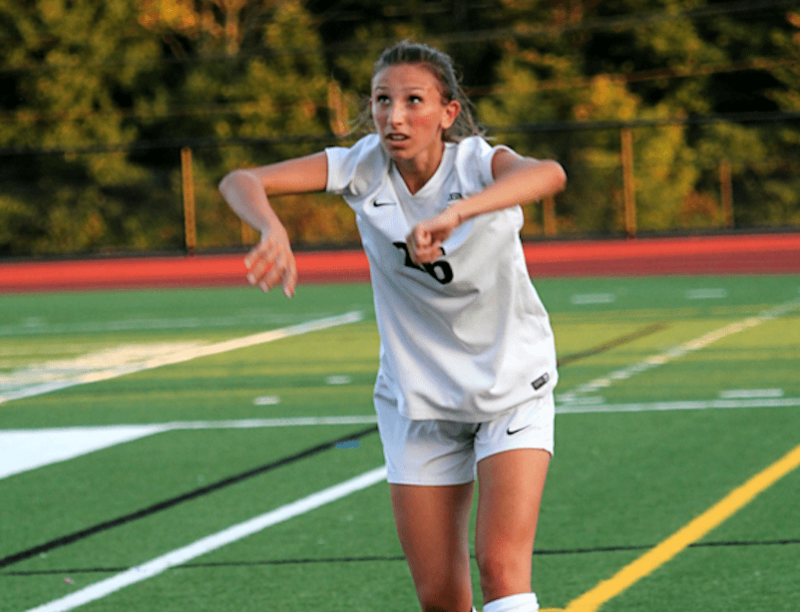 The girls’ soccer team will be back on the field Saturday at 6 p.m. when it hosts Weymouth.